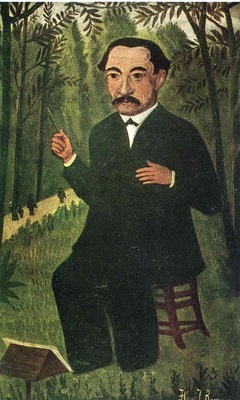 Henri Julien Félix Rousseau (May 21, 1844 – September 2, 1910) was a French Post-Impressionist painter in the Naive or Primitive manner. He was also known as Le Douanier (the customs officer), a humorous description of his occupation as a tax collector. Ridiculed during his life, he came to be recognized as a self-taught genius whose works are of high artistic quality.